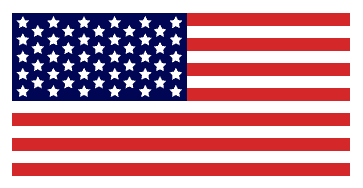 America’s Got Talent (AGT) is one of the top reality television show with millions of viewers. It is a talent show that features singers, dancers, magicians, musicians, comedians, and other performers. AGT gives an opportunity to talented and unknown performers, to get recognition and potentially have their featured show in Las Vegas. AGT results are decided based on judges and audience votes. 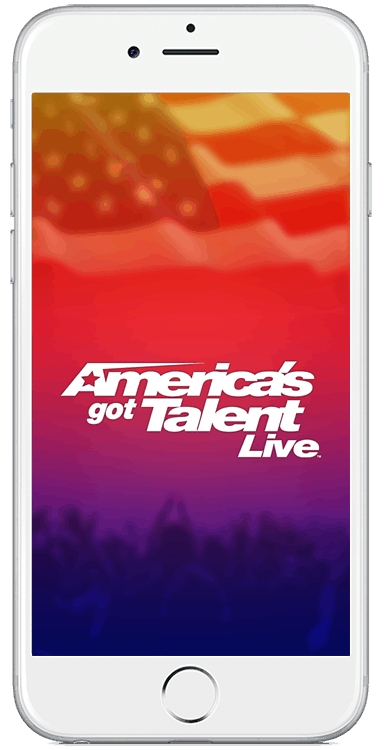 AGT wanted to develop a mobile application for their studio audience to vote and rank performers at the live shows. The America’s Got Talent Voting App needed to be an engaging experience for their audience. User experience, performance, and mobility were the key focus areas as we started designing solution for AGT’s app development project. During initial requirements gathering and discovery process we gathered from AGT stakeholders interesting facts about what goes in to making each show. Those insights helped us in identifying data that would be necessary for software application. We prepared wireframes for The America’s Got Talent Voting App and showcased to client through Invision app. Once the designs were approved by AGT team, we built the apps and worked with AGT team to perform beta testing at a show. Based on user feedback, we fine-tuned app and released to the app stores. 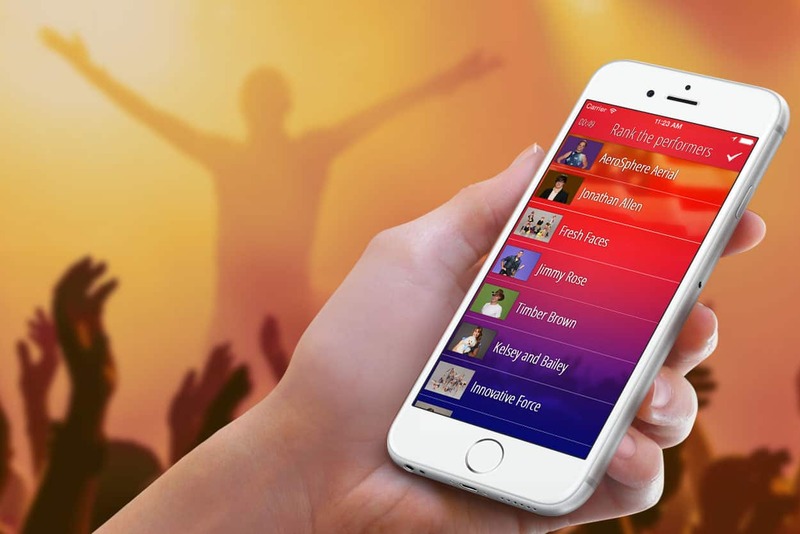 The America’s Got Talent Voting App project includes a cloud-based application for administering show schedules, event venues, performer categories, and performers. 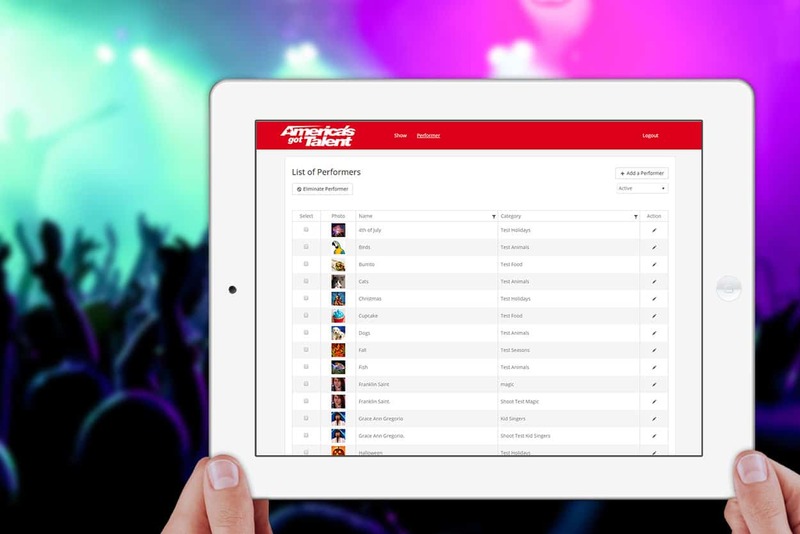 Cloud application uses responsive design so that AGT event managers can operate it from their iPad at the show venue. The other significant part of the project is to design & develop mobile applications for iOS & Android devices. Studio audience use mobile apps for ranking live performances and submitting their votes at the end of the show. For making mobile app more fun and engaging for audience, we added a feature to turn on phone’s flash and giving user’s controls for increasing flash frequency if they liked a performance. We’ve build a web service / API layer as an interface between mobile apps and web backend. We are using a unique algorithm for calculating performer rankings based on audience votes. At the end of the show, event managers generate ranking reports using cloud app. At the live shows, the America’s Got Talent Voting App became instant hit with the studio audience. Besides meeting AGT’s original objectives of giving viewers an engaging experience through a well performing mobile app, app helped AGT collect performer ratings from the audience and increased show’s viewership.